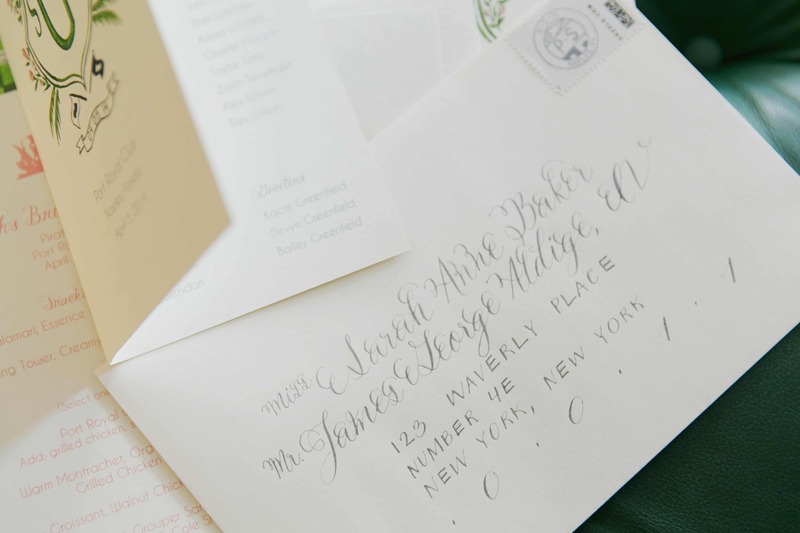 Mix-script envelope calligraphy to match the font from this couple’s invitations, designed by the bride’s sister. 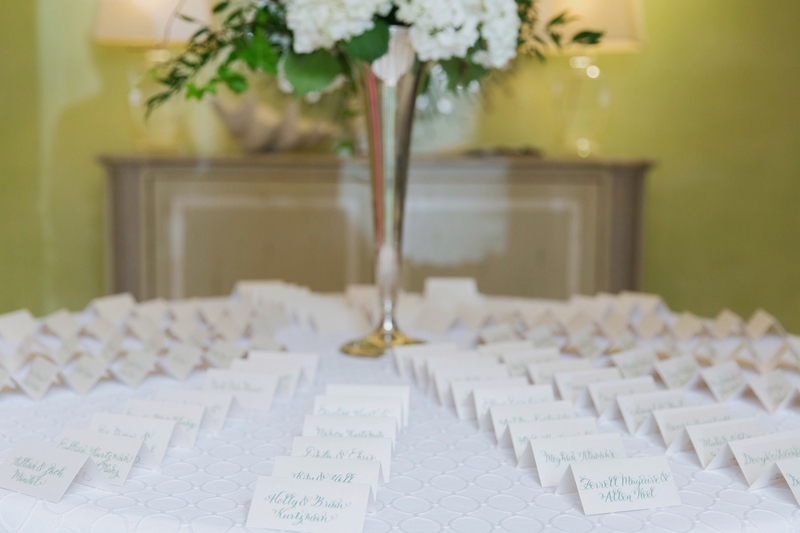 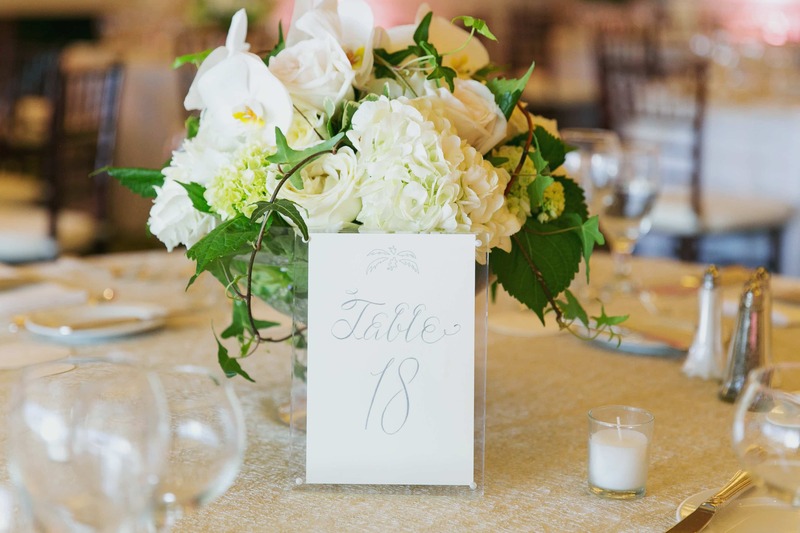 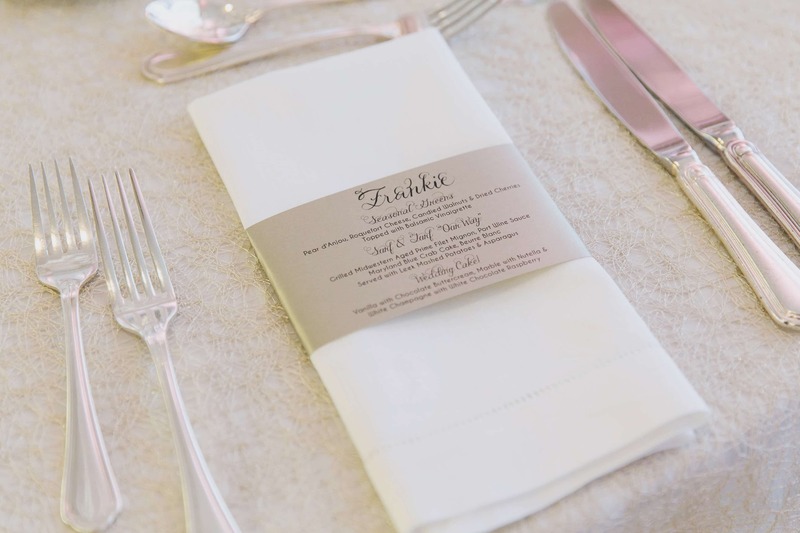 This unique lettering style was carried throughout the wedding day details such as place cards, personalized menus + table numbers. 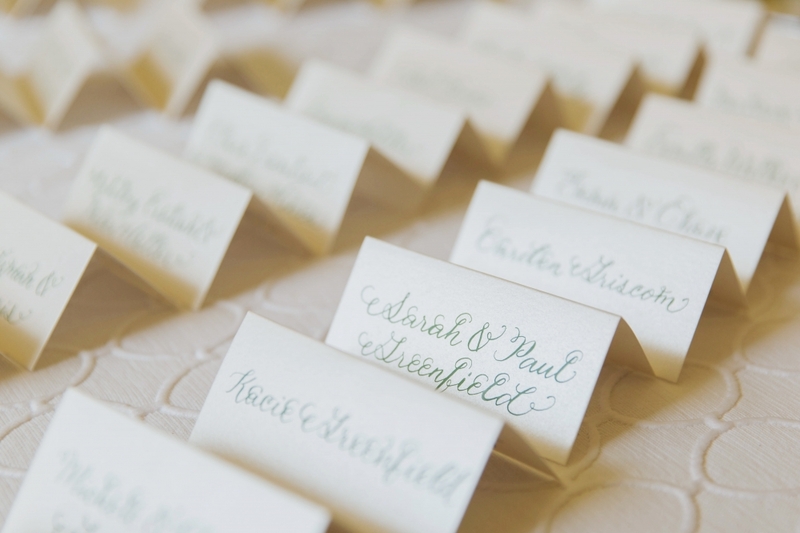 A wonderful example of hiring a calligrapher who can match a font chosen by your outside stationer.